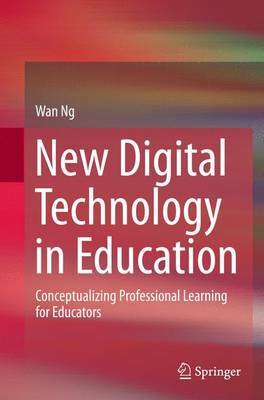 This book addresses the issues confronting educators in the integration of digital technologies into their teaching and their students' learning. Such issues include a skepticism of the added value of technology to educational learning outcomes, the perception of the requirement to keep up with the fast pace of technological innovation, a lack of knowledge of affordable educational digital tools and a lack of understanding of pedagogical strategies to embrace digital technologies in their teaching. This book presents theoretical perspectives of learning and teaching today's digital students with technology and propose a pragmatic and sustainable framework for teachers' professional learning to embed digital technologies into their repertoire of teaching strategies in a systematic, coherent and comfortable manner so that technology integration becomes an almost effortless pedagogy in their day-to-day teaching. The materials in this book are comprised of original and innovative contributions, including empirical data, to existing scholarship in this field. Examples of pedagogical possibilities that are both new and currently practised across a range of teaching contexts are featured.